Jasper is far more than a ski destination. The Jasper National Park has an incredible array of wildlife that you’ll see along the roads or train lines long before you arrive. Don’t be surprised to see a herd of wild Mountain Sheep grazing right in town. They come in because they know the Wolves won’t. In the early morning and evenings the wild Elk roam among the hotels and they have no fear of humans so make sure you don’t spook them if you don’t want to get chased up a tree. Moose are also common and these solitary beasts often roam among the pistes on the ski area. Several types of Deer and Mountain Goats are also abundant. If you are really lucky you may even spot a Lynx or maybe a young male Bear in March or April. Large bears and those with cubs sleep right through until late April. The ski area near Jasper is called Marmot Basin and it is renowned for being one of the best powder areas for North America skiing. The snow is dry, light and fluffy. Due to the lack of crowds and the dryness of the snow it stays in great condition for weeks after a fall. Jasper skiing is ideal for all levels of skier from beginner to expert with intermediates probably getting the best of it. For experts the tree area under the Eagle Ridge quad chair is steep and challenging and a favourite with the local guides. 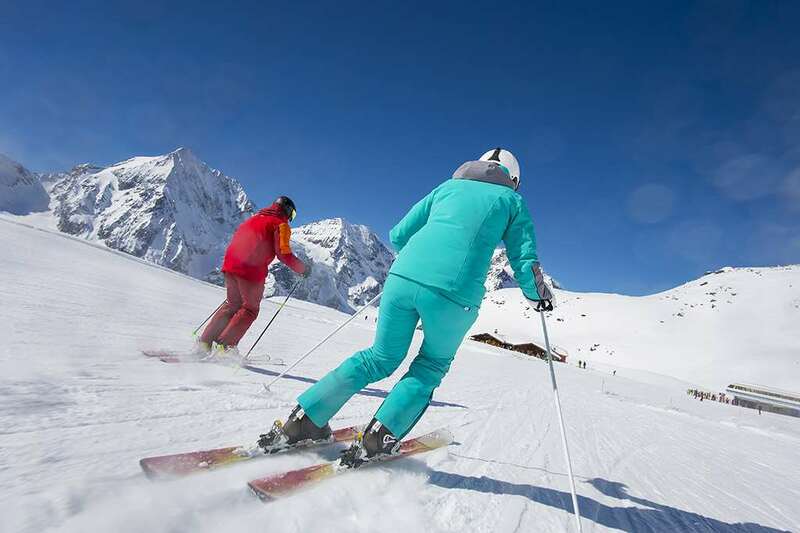 For beginners the ski school is one of the best and friendliest for Canada skiing. 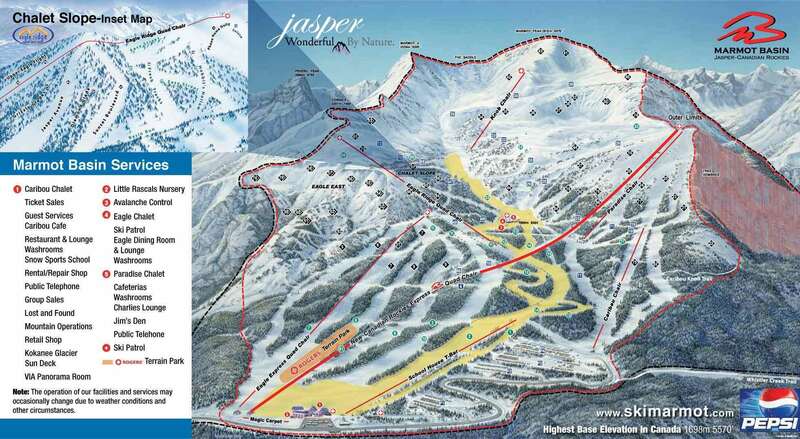 With well groomed pistes and lots of natural snowfall during the winter season Jasper is set for great skiing from December through to April and with the added snow making facilities across the slopes this guarantees for more skiing time both at the beginning and end of the season when the snow is low. There are several Ice Canyon walks to do close to town that are well worth a half day trip. We highly recommend the Maligne Canyon walk. You are given cleats to attach to your boots and then you walk on an ice river up an amazingly beautiful gorge full of ice waterfalls and caves. Jasper town is about 15 minutes by free bus from the Marmot Basin ski area. It has plenty of bars and restaurants to keep you busy for a week. It has the feel of a frontier town full of genuine and friendly characters that can’t wait to tell you about the local’s secret spots for animals or good skiing. The best way to get to Jasper is from Edmonton. It is a 3 to 4 hour drive or you can do the snow-train which has friendly bartender and 2 glass ceiling viewing carriages that are great when you get into the mountains. TIP: Have lunch in the early session so you can get the best seats in the viewing carriage for the last part of the trip in the mountains. You can also get to Jasper via Calgary but it is at least 6 hours driving. The Icefield Parkway between Jasper and Banff is the 2nd highest rated drive for views in the world. Split destination trips are becoming increasing popular flying into Edmonton for Jasper and then flying out of Calgary via Banff.